Hair Stylist Jobs in Buffalo, NY are at Salon Nouveau! Make a difference everyday doing what you love! Salon Nouveau is a high traffic salon that has been serving Niagara Falls and surrounding areas for over 20 years. We offer a fun, friendly environment with new clients contacting the salon looking for stylists daily. 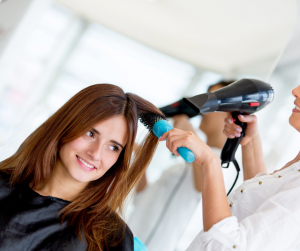 If you are looking for hair stylist jobs in Buffalo, NY we want to talk with you! We’re looking to add STYLISTS to our team that are excited about using the latest techniques to make every client feel beautiful! You must be willing and able to build and retain clientele. To help, the salon provides a number of marketing tools including a mobile friendly website, an active Facebook page and a monthly email newsletter that you can use to market yourself, free of charge. You’ll also need to be able to come up with your own inventive ways to build. Stylists with a clientele are welcome, but we’re willing to help the right person grow. Experience with makeup application, pedicures and updos a plus. Willingness to market yourself and work to build your clientele with our help. Email us your resume and LET’S TALK! Then check out our team and see all the awesome people you’ll be working with.